“Do you need help with anything?” – asked Karain when I went in to check on her before the ceremony. 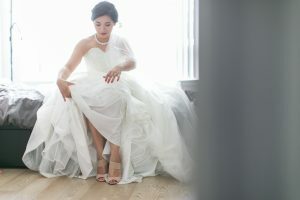 This was the first time a bride had asked ME if she could help, I stopped for a millisecond and smiled at her that I’m helping her today not the other way around. 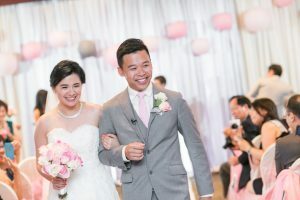 🙂 This was the sincere, kind and sweet characters of both Karain and Derrick throughout our meetings prior to their wedding day, and even on the wedding day itself! 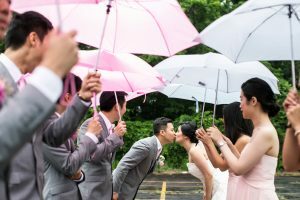 With the timid summer we had been having in Toronto, the three of us were monitoring the weather for rain the week leading up to the wedding knowing we had to make a decision to move the ceremony indoors the day before. But on the rehearsal date 2 days before, Derrick and I looked at our phones, then he made the call and said move the ceremony indoors. 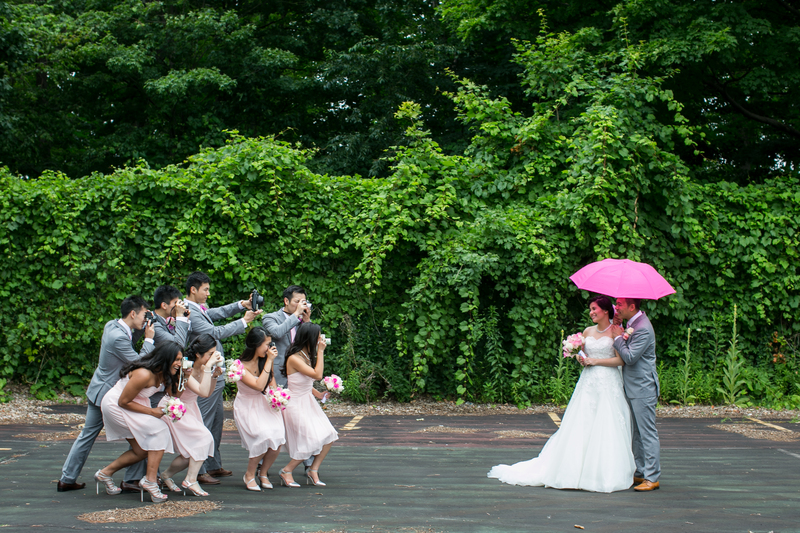 No stress, no regrets in his voice, just very matter-of-fact, he didn’t want to worry later. 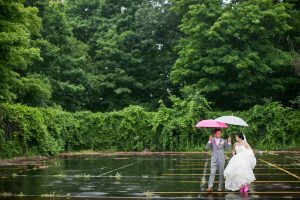 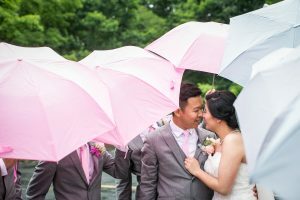 They made the best of the situation and embraced the possibility of rain… they found pink rain boots for Karain, pink and grey umbrellas for the entire wedding party, it fit in perfectly with their colour scheme and added that whimsical touch that both of them have. 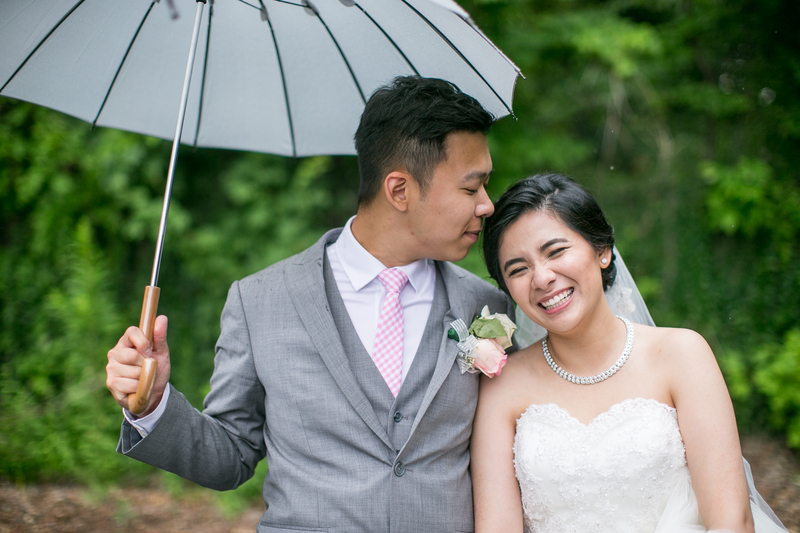 I don’t often use cute to describe a couple, but that’s what Karain and Derrick are… they adore each other, and their wedding day was filled with smiles, laughter and emotions that kept me smiling from ear-to-ear all day for these two. 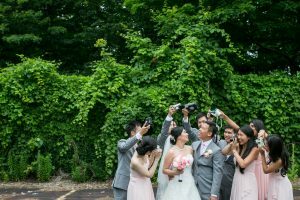 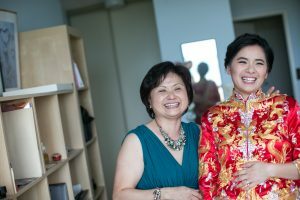 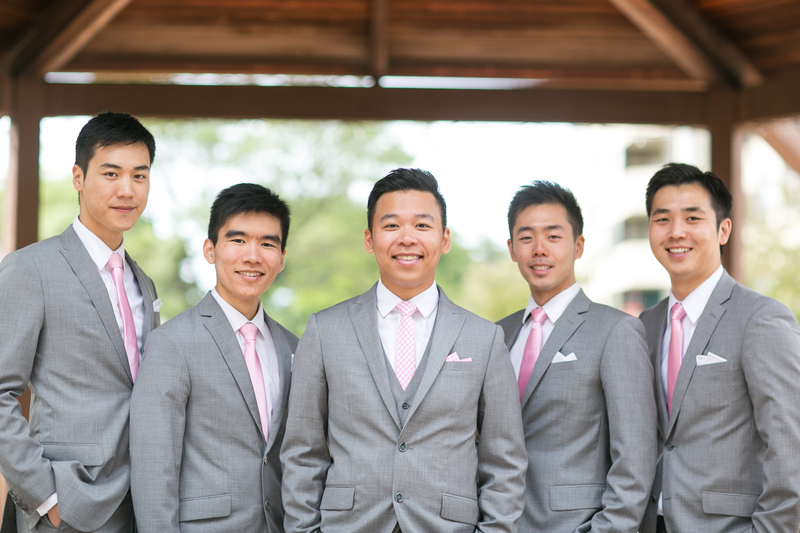 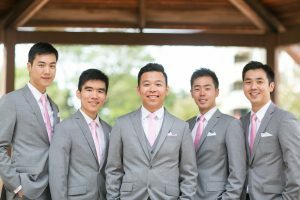 Just look at these photos below from Sandy Tam Photography to see what a fun and light-hearted day Karain and Derrick had, Sandy captured the essence of their characters and their wedding day perfectly! 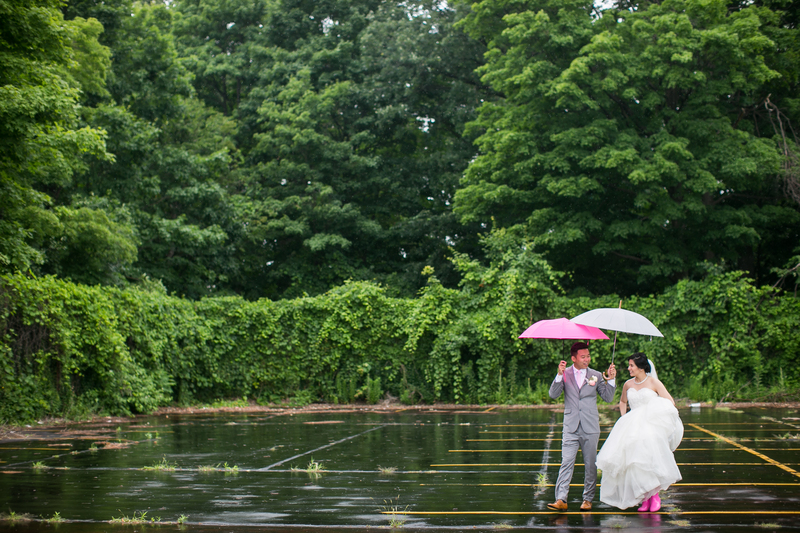 You can see more from Sandy’s blog, here. Don’t miss out on this awesome highlights video from Henjo Films that made me teary right at the beginning! 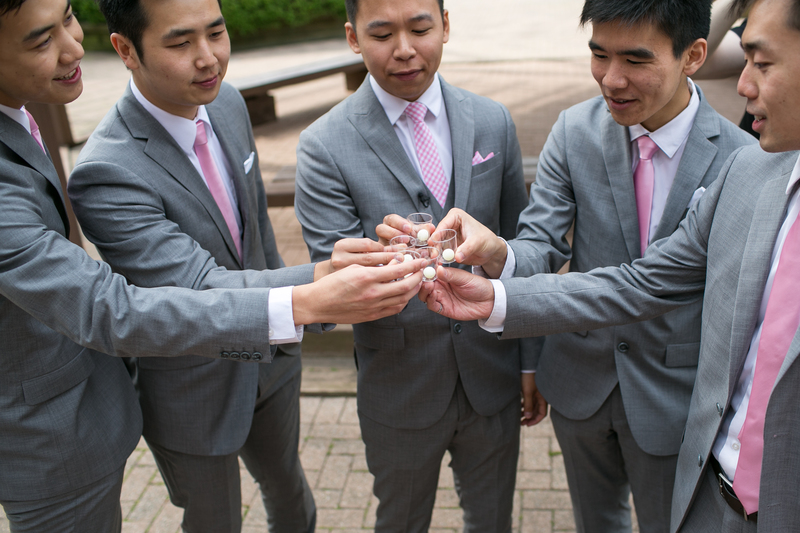 What impeccable timing, I just received a thank you card from Karain and Derrick today. I also wanted to say THANK YOU back to them for letting me be part of your wedding day and witness your love for each other. 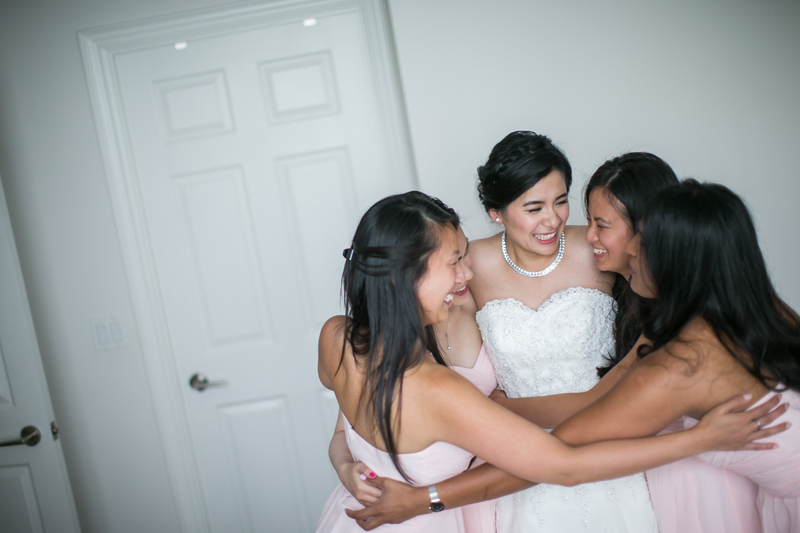 You are both so thoughtful and your kindness speaks volumes. 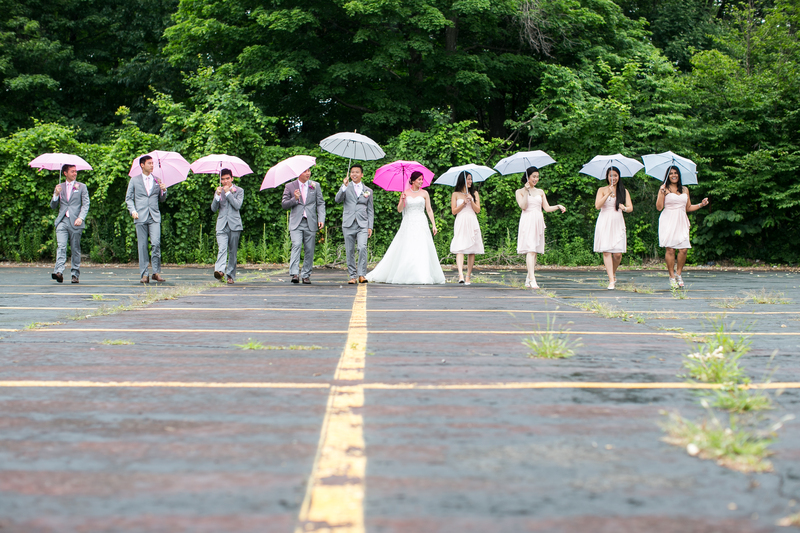 Special shout-outs to all the vendors I worked with on this wedding!